Ross154 wrote: maybe you can tell me how your VB program works? I started with a base backgrounds, without any text on them. There are actually only 9 base images per screen ratio. Then I built up a text file that contains all the text that appears on all the different pages (the sub-commands, the system log entries). The main routine then reads through the text file and creates images as it goes - picking up the background image, then drawing the text on top. I just click on the font I want to create the images for, select the screen ratio, and all the settings are loaded for me. During work on the latest version I learnt how to save the images in a smaller format, so I added a drop-down to allow me to quickly change it. I was also experimenting with all-caps fonts (thus the "Uppercase" option), but this never worked out to my satisfaction. Finally I specify the output directory, and click "Create Images", and shazzam! 60-odd background images get created. Once the images are created I then run them through pngcrush to make them as small as possible. I understand if VB.net is not to your taste. I could probably convert it to C# if that's any better. Might not get to it this weekend, though! [Edit]I just discovered there's a GiMP plugin for Paint.NET, so I could easily save versions of my originals (with all the layers, making it much easier to slot in the BGS backgrounds) in XCF format. Would that help? The best would be if I could edit directly the 9 base images (in Gimp or in Paint.NET shouldn't be too different), it would make things much easier for me, then I could post the results and you could use them if you like them. Thanks, it isn't exactly what I thought it would be but I can do the following: create 1600x900 .png pics (as the original base pics) with the different backgrounds (semitransparent) in the frames where they should appear when the pics are merged, so when your program builds the final images you can tell it to merge those too. Would your program be able to merge them this way? If you create your 9 base images, then yes, my program can do the rest. Yes, if you provide 9 background images, my program can use them to create all the different versions it needs for the OXP. However, I don't think you'll have 9 based images. 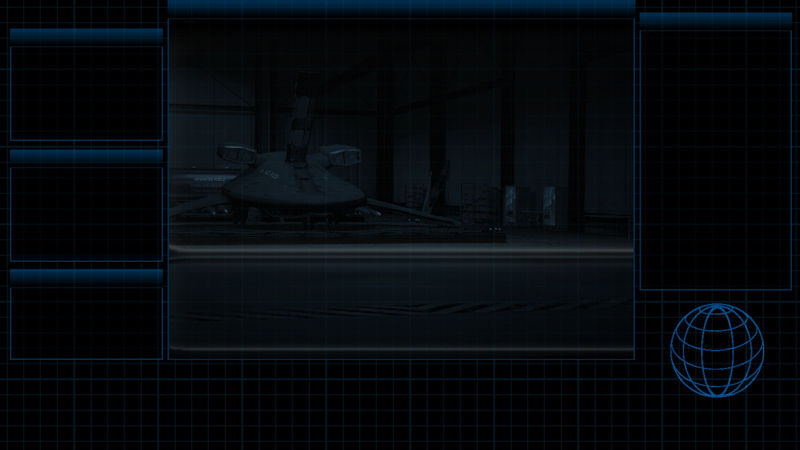 Some of the backgrounds will be different based on their use - the F3 Shipyard background will be different to the F5 Manifest background. My 9 base images only work because the only differences between each of the screens is the text, which is what my you-beaut VB utility puts on. So, I could create a new version that looks for more images, but you'd need to provide me with a version of each of the 9 based images with all the different backgrounds embedded in it. I could then customise my utility to use those instead. All the text positioning would remain the same. phkb wrote: If you create your 9 base images, then yes, my program can do the rest. These backgrounds can be merged even after images with text have been created (then I should make them 2048x1024 because that's their final size). What the program could do, is to check the filename and merge the image with the appropriate background (eg if the image is named "xenon_standard_f3-1.png", merge "standard_f3-1.png" on top of it). Both 16:9 and 16:10 have the central frames in the exact positions so this wouldn't be an issue. So I make backgrounds (1600x900 or 2048x1024 depending on when they will be merged) and call them "standard_f3-1.png", "standard_f3-1_nohud.png", etc, then your program would merge them on top of the corresponding file. You can tell me if this is fine for you. Big thanks to Svengali for creating the Library OXP, and for answering all my questions about Library GUI. There are a couple of settings now available in Library: you can turn off the overlay images, and you can dial back Xenon's level of influence, so it won't actively force the backgrounds on mission screens. This would mean the only screens you'd see the Xenon UI background on would be the main GUI screens, the parcel/passenger/cargo screens, the primable equipment setup screen, and the change registration screen. It happens at all stations, and the pattern is always the same. The background image is provided by the "HD background OXP" (http://wiki.alioth.net/index.php/HDBG). I kept the default parameters for Xenon UI. Last edited by Astrobe on Sat Oct 01, 2016 1:29 pm, edited 1 time in total. Ah, I forgot to check for Hdbg before putting my overlay on. If you disable overlays that should go away, and I'll get a patch out shortly to fix the issue. It's a very minor issue, no need to rush for fix. Version 2.0.1 is now available and should fix the compatibility issue with HDBG. I am Nomad. I am fairly new to using Xenon UI, and I noticed a small error. As my goal is to seek out and sterilize imperfections (https://youtu.be/Mw3zzMWOIvk). It turns out that the current version of XenonUI does not show the map in RandomHits OXP missions. I have "sterilized" my installation by replacing this.$addMissionScreenException("random_hits_map"); with this.$addMissionScreenException("random_hits"); in xenonui.js. Using the Xenon Redux UI with 1.85.0.6859-161116-8e7ecc3 and it seems to lack the background/frame when in the details section of parcel contracts.